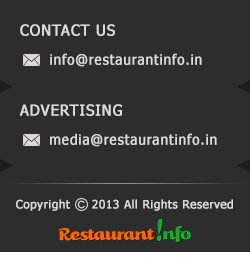 This restaurant is specialist in north Indian dishes. I had Junglee masalo ka raan,Murg tikka lababdar, Khumb hara pyaz. All were simply finger licking good. The tastes are delicious. Especially the Junglee masalo ka raan has striking good taste. One must have it. The prices are high. All ranges of alcohol are available but that to at a bit high rates. The insider has a wild decor, dark and deep. The service is very good. A very good place for an extravagant treat.